By Various. DVD. Rock Instruction. DVD. Published by Legacy Learning (HL.321260). Guitar Apprentice teaches you real hit songs in a rhythm game format by breaking them down into easy portions on multiple levels, showing you exactly what and when to play. By watching the scrolling fretboards and playing as they drop in to place, you'll never be lost or overwhelmed. On the first level, you play only a chord or two. By the time you reach the highest level, you're playing the entire song like the original recorded version. 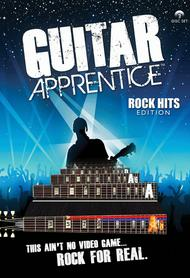 Grab any real guitar, pop in a DVD, and you're ready to rock – even if it's the first time you've picked up a guitar! 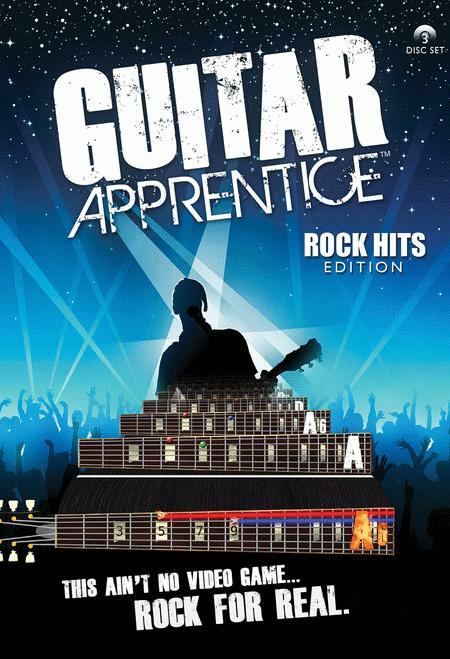 Every Guitar Apprentice DVD includes: 15 levels of play per song • easy color-coded finger diagrams • moving guitar necks show what's coming • strings light up to show you what and when to play • instruction on the fundamentals of playing guitar. Includes: Boom • Hit Me with Your Best Shot • Shine.